Claude Monet was a central member of one of the best-loved art movements of all times, Impressionism. When Monet's painting, Impression, Sunrise, was first presented at the prestigious Salon in Paris, reviewers used the title to mock the new painting movement and gave the name "Impressionists" to Monet and other exhibitors such as Renoir and Degas. Claude Monet was, along with the other Impressionists, a passionate individualist who embraced the concept of plein-air painting (finishing entire works of art out-of-doors rather than in the studio). His goal in art was to approach the natural world with an innocent eye and to record his "impressions". Monet experienced a new level of reality by painting this way and felt that this form of art was capable of transforming the viewer. 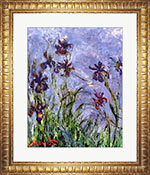 All Monet art prints are sold with your choice of beautiful frame and mat. 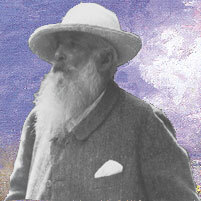 We have over 1500 Monet art prints in inventory. Some are fine art prints on high quality paper, some are extraordinary giclée prints on canvas.